I’ve written more than once about brodet recently. 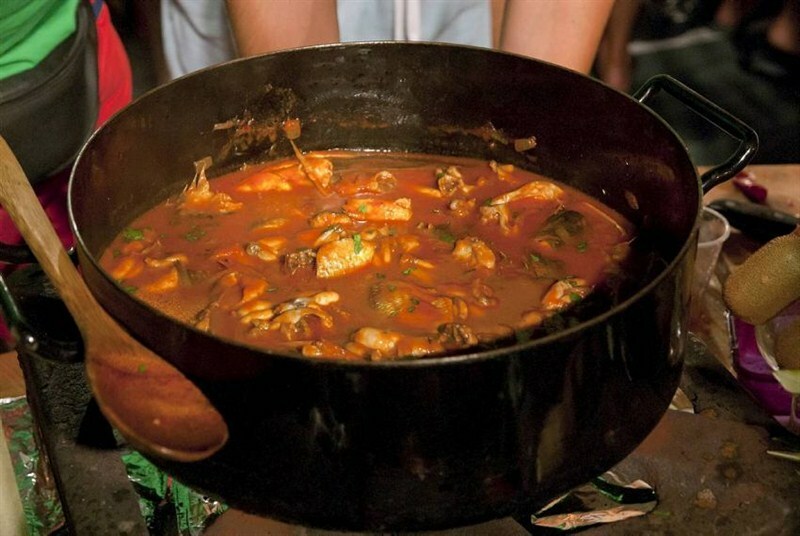 It is probably the most typical Dalmatian dish, and could be translated as fish (or seafood) stew (or broth). Once you have tasted brodet, you still can’t say that you know much about it because it comes in so many different variants. 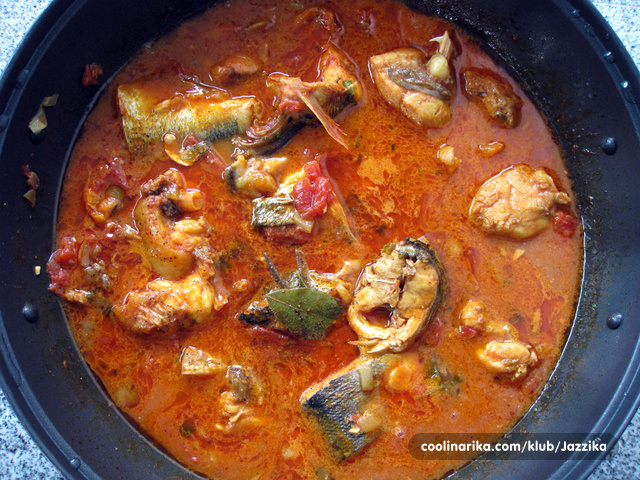 Basically, it is all about cooking 2-3 types of fish in a sauce made of onion, garlic and tomato, with some spices and ingredients. 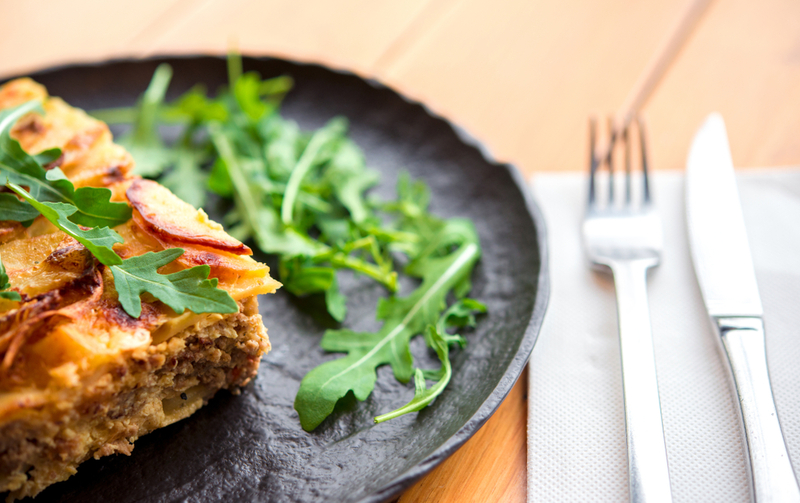 However, different types of brodet are served in Dalmatia for some special occasions and celebrations as a specialty or as a simple lunch and everyday food. There is no specific rule that states which type of fish you have to choose, so almost anything you catch in the sea (or on a fish market) can serve for a brodet. This time I was inspired by an encounter with an old fisherman last summer in Kali, an old village on Ugljan island, where fishery is an old tradition kept until nowadays. When asked about his favorite meal, this fisherman mentioned mostly meat dishes. That is not surprising at all because fish is what he dealt with all of his life so he must have been fed up with it. However, when he spoke about his days aboard a wooden trawler and about the tough fisherman’s life, he mentioned brodet. 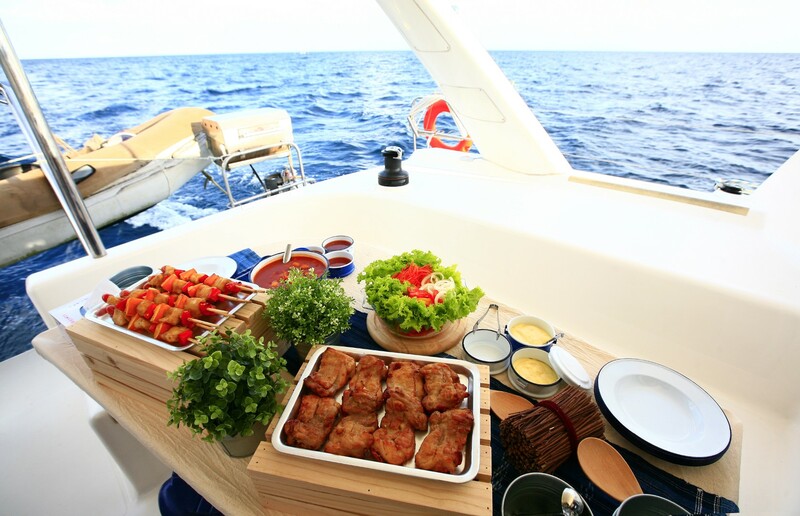 Since fishermen didn’t have much time to enjoy the cruise but had to work hard, the cook was a very important person because he had to feed hungry and exhausted fishermen. It happened many times that all the crew had to work with nets so even the cook did not spend all his time in the galley. Brodet was very often on the menu but there was no time and conditions to prepare sophisticated versions, nowadays served in fancy restaurants. Fishermen’s brodet had to be prepared simply and as quickly as possible, yet with enough calories and with fine taste. The version the friend of mine from Kali told me about is really simple to prepare and has a very interesting taste. He said that the best brodet is cooked in a clay pot because it preserves the taste of the fish and the ingredients in the best possible way. Their cook would put a lot of olive oil in a large clay pot along with not too tiny cut onion, garlic, salt, pepper, tomatoes and fish. He said that, although there was plenty of fish on board, they were allowed to cook only second-class fish. At this point, I have to emphasize that they did not summer onion and garlic on olive oil before adding tomatoes and fish, as it is usual. All the ingredients were put together in a cold pot and then on moderate fire. Unlike the standard brodet, the fishermen used to cover all ingredients with water first and cook them. Sometimes they used seawater instead of the fresh one. Since they did not add vinegar, which usually keeps the fish meat consistent, their brodet was rather liquid because the flesh fell off the bones. Such sauce would then be poured over (toasted) stale bread. Warm sauce would often soften the bread and such meal not only saved the bread, but brought back the energy to hungry fishermen. Great article, as always :-) Just curious, what’s a difference between brodet and buzara? I tried to find an answer on some famous Croatian cuisine websites, but I couldn’t find precise explanation. At the end of the day one fact is certain – both words brodet and buzara come from Italian dialects and became the ordinary word in our language over the course of time. Brodet originates from Italian brodetto, meaning something like the grand soup or stew. 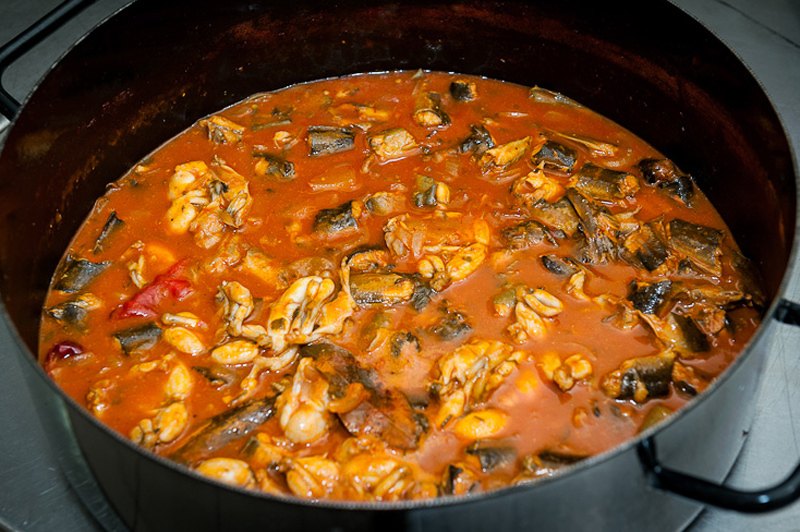 Therefore Dalmatian brodet is more ‘fish stew – like’ and is usually served with polenta. The word buzara comes from Venetian word for the pot used by sailors to prepare food – the buzzara or busara. I will stop here because your question might provoke the discussion of massive dimensions but I believe that my answer is at least a little helpful. I wish you calm seas, kind breezes and sturdy masts.